15251 Floresta Ln, Fort Myers, FL.| MLS# 219010725 | Southwest Florida Residential Real Estate for Sale. Welcome to D.R. Hortonâs newest gated community of single family homes, in the highly desirable corridor of Ft. Myers! This home is situated on a preserve homesite, with an east rear exposure. Our Bedford plan features a first floor master suite with large en suite bath, to include a walk in shower, double sink vanity and soaking tub. The second floor of this home has two bedrooms, full bath and large loft area. The gourmet style kitchen boasts a large granite island, perfect for your âinnerâ chef. 42 inch kitchen cabinets are light in color and are enhanced with crown molding, and under cabinet lighting. The home includes stainless steel kitchen appliances; side by side refrigerator with water and ice in the door and washer/dryer. Beautiful light 18â floor tile in all the living areas and luxury carpet in the bedrooms is perfect for Florida living. 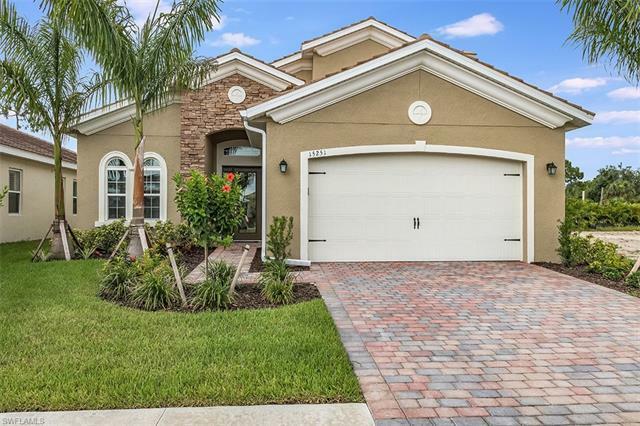 Venetian Pointe is situated in the perfect central location; close to SW Florida Regional Airport, shopping, medical facilities, Lakes Park, and of course our beautiful beaches! All Venetian Point residents enjoy the amenities; large pool, Cabana area and fitness center. NO flood insurance required and NO CDD fees!! !